Hermit’s Rest is a historic rest house constructed in 1914 by Mary Colter. Originally set up with one room on each wing, it was quickly over burdened by the influx of visitors, making a two room hotel impractical, causing them to remodel as a rest house. Becoming a stop over for those descending down the Hermit’s Trail, to the now gone Hermit’s Camp; there is still a campsite in the same area that you can book with the NPS Backcountry Office. It still holds this function for modern visitors, even those who don’t descend into the canyon, but reach the western most portion of the South Rim. Offering rustic seating and a covered front porch, a gift shop, and a snack shop. Visitors should notice Colter’s attention to detail, while the appearance of the building belies an amalgamation of stones and timber to create a rudimentary structure, each piece had been deceptively thought through for each block. 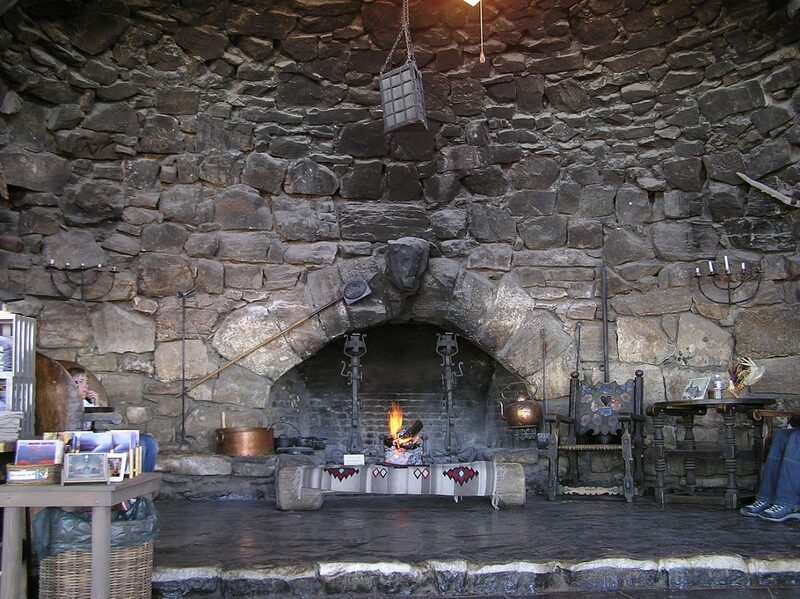 Colter even remarked when joking around with AT&SF executives about it’s “dark, antique looking interior”, that: “you can’t imagine what it cost to make it look this old.” Indeed, her detail even included rubbing soot into the rocks above the fireplace to make it appear as if it had been used for decades. Getting to Hermit’s Rest it really the most of the experience, with Hermit’s Rest being a differently flavored cherry on top of the Canyon’s grandeur. 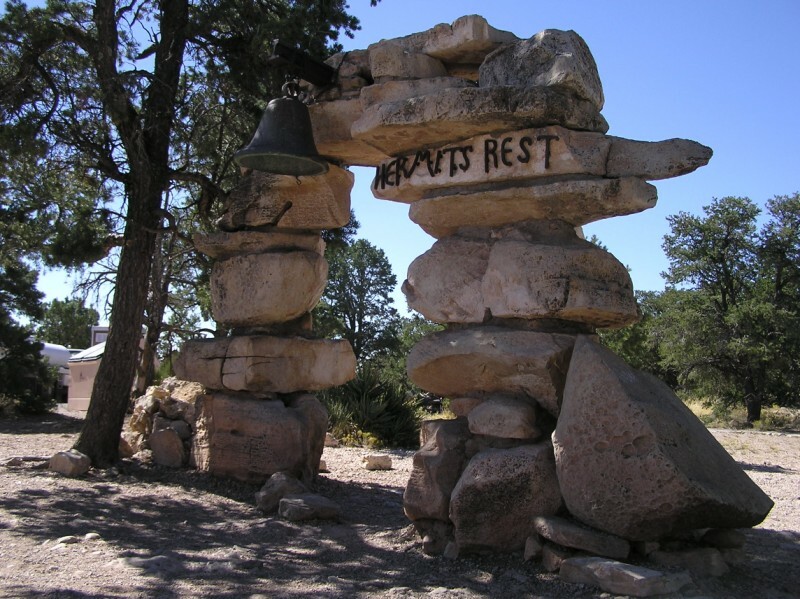 Hermit’s Rest is accessed via the Rim Trail, or Hermit’s Road (closed to Private Vehicles from Spring -Fall). 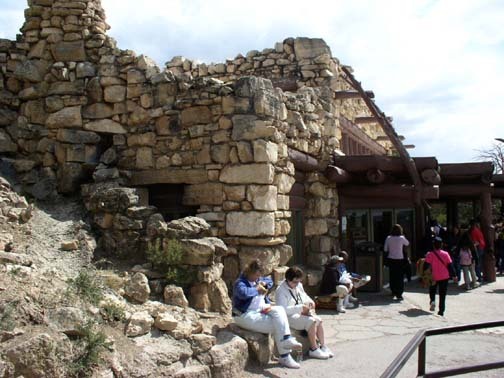 Ten miles of the Rim Trail are represented from the western most portion of the Village, to Hermit’s Rest. 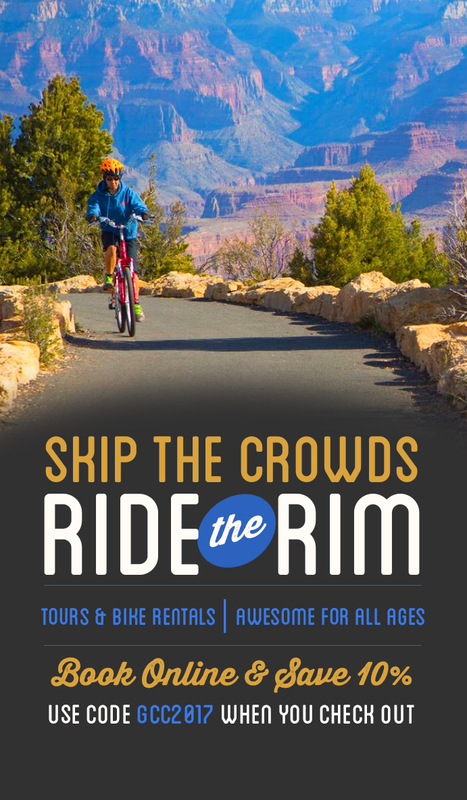 Offering a day’s worth of strolling trail along the Canyon’s rim. Though those without the time to devote to all ten miles will be able to catch one of the NPS’s free buses running the red route. For more info, visit the NPS website here.